​EXPLORING THE ISLAND THROUGH THE ARTS, DISCOVERING ITS PEOPLE, THEIR HISTORY AND CULTURE. ​Duration 8 days and 7 nights in Cuba. Morning visit to the Maqueta de La Habana Vieja. It's a 1:500 scale model of Old Havana complete with an authentic soundtrack meant to replicate a day in the life of the city. It's incredibly detailed and provides an excellent way of geographically acquainting yourself with the city’s historical core. The model is used for social development and planning. Followed by a walking tour of Old Havana, a UNESCO World Heritage Site. 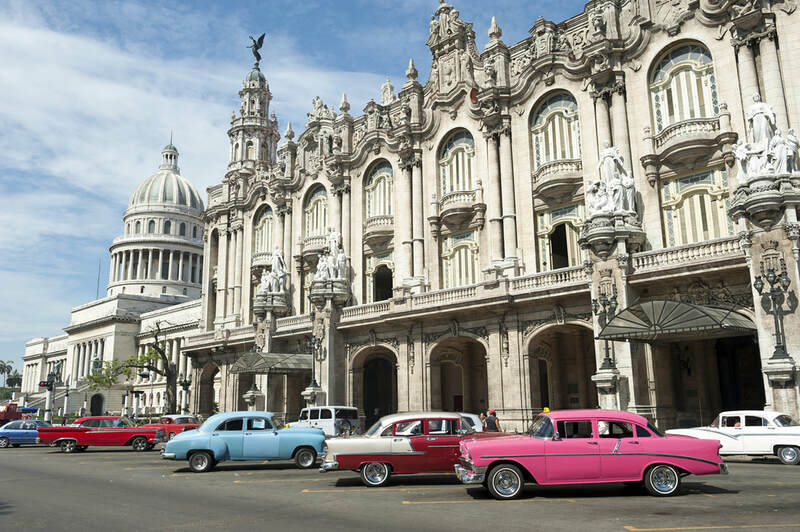 We’ll visit four of the five historic plazas that make Havana unique in the western hemisphere. It contains the largest collection of remaining colonial-era architecture. This is a private tour led by your Cuba Education Tours guide. Lunch at el Rum Rum private restaurant (included in tour cost)! Visit Museo de Artes Decorativas. Dinner tonight is not included. We are free to explore different eateries. Your guide will advise on restaurants for every taste and budget. Visit Museo Nacional de la Cerámica. Housed within casa de Francisco Aguilera Basabe a two story historic building built in 1728, this museum exhibits Cuban art pottery from 1950 to the present day on the top floor, while the ground floor has a ceramic shop, temporary exhibition areas, lecture hall and an archaeological site. Dinner tonight is not included. We are free to explore different restaurants. Your guide will advise on restaurants for every taste and budget. 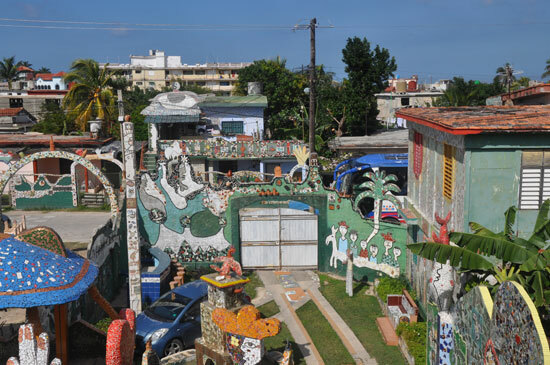 Visit the studios of Abel Barroso who constructs playful works that often invite the viewer to interact. We'll visit the UBPC Vivero Organopónico Alamar, 15 km (9.3 miles) east of Havana. It's one of the most successful urban organic farms in Cuba raising ornamental plants, medicinal herbs, and millions of seedlings for neighboring residential and collective farms. Established in the early 1990s, the Alamar cooperative has over 20 members and provides a range of healthy, organic vegetables to the community. Produce is raised employing the practice of permaculture: no chemical fertilizers and pesticides. Instead, natural biological methods are used to nourish the soil, frustrate pests and conserve water. The result is an increased rate of yield and reduced costs. TOUR HIGHLIGHT: Special lunch prepared by El Ajiaco private restaurant in Cojimar , a small fishing village one of Hemingway’s favorite places and where Hemingway was inspired to write Old Man and the Sea. Cuba travel is a challenge. Our staff and Cuban partners work super hard to make your tour unfold seamlessly despite Third World conditions on the island. Sometimes things don’t go as planned. Flexible travelers understand this is part of their Cuban adventure. - All taxes. Prices listed are in USD. - Airport transfers. We meet you at José Martí Int'l Airport in Havana and take you to the Riviera upon arrival. We return you to the airport for departure. - All breakfasts, lunches, and dinners as per itinerary.